These are paints that I formulated for painting trade guns in period appropriate colors. Period documents refer to blue, red, yellow and even spotted stocks on trade guns. Unfortunately they don't tell what shades were used. I have researched with the paint experts at Colonial Williamsburg and these shades were considered to be the more common and cheaply produced shades that could have been used on trade guns. The original paints would have been an oil base but bowing to ease of use and the fact that I don't like to wait several days for the paint to dry, these are a latex base. Soap and water clean up and about 30 minutes to dry. I use my Dragon Wax over the paint to seal it even better and gives it that oil base look. I have decided to sell the stock finish I use in a smaller size for the home builder. 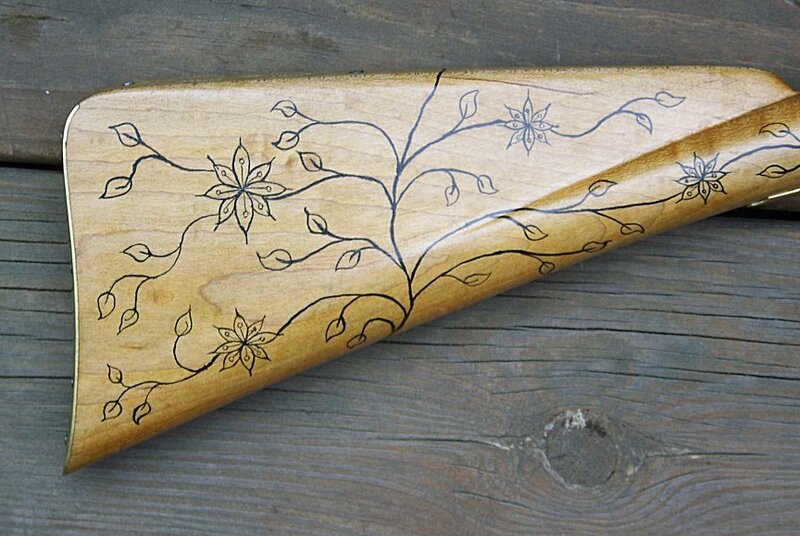 This is a penetrating linseed oil base with driers added typical of early gun stock finishes. I've been using it for many years and it has proven to be very durable, easy to use and will give you that nice hand-rubbed finish. This 2 oz. jar will do 3-4 long guns. 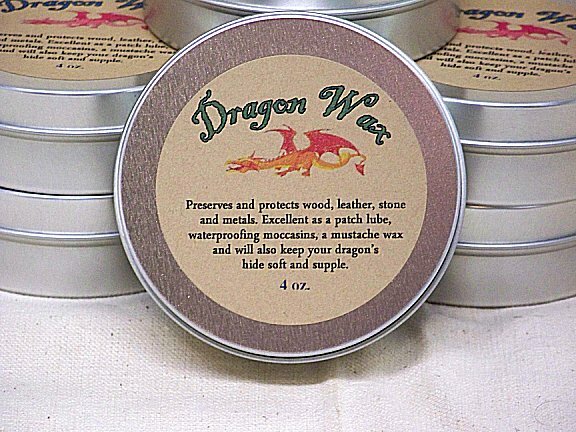 Using a paste wax like my Dragon Wax over this finish will increase it's ability to repel water and most solvents. Comes with instructions and a wool application pad. Using raw or boiled linseed oil as I have seen many people do is not the best finish. Without the driers added to the oil, it will never really dry and over time the wood will become spongy and soft. Using oil with a drier added will seal the wood as it dries sealing in the natural moisture and will help bring out the grain of the wood better. This is my own formula that I have used for years and it works really well. Non toxic. 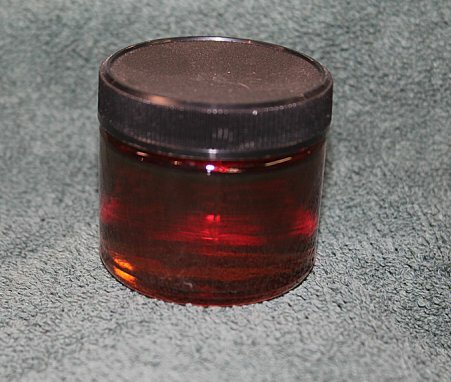 An easy and quick method for cleaning your gun using my solvent is printed on the label. This isn’t your grandmother’s floor wax. This is a formula that I developed because I couldn’t find a commercial paste wax that I liked. It is a combination of several waxes and oils that leaves a hard durable water repellant finish on the stock and metal parts. I even use it over the paint on my trade guns. It’s a little stiffer than other paste waxes so a little goes a long way. Many people have asked where to get this, well here it is. This is the ink used to paint the vines on the Bumford trade gun. Use it with a fine tipped brush. One vial is enough for 2-3 guns.